The comfort made shoe, and in Roberto Ley, besides, we give the facility to acquire them online without any problem. These shoes, made with the utmost care, are perfect to wear at any time of the year and, also, are able to fit in any situation. It is a renovated classic that has the elegance assured. The moccasins have the characteristic of being closed and formal shoes, shoes that give you an extra comfort and that are perfect to combine with all types of clothes: elegant, casual, casual, etc. 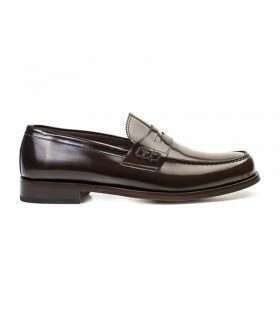 In addition, they are usually leather and have a rigid and resistant sole. They are an icon of the masculine, that helps to reinforce your personality.